Outlook.com offers free email with practically unlimited storage accessible on the web with a rich and helpful interface or using IMAP, POP, and Exchange ActiveSync in email programs on desktop and mobile device. Outlook.com offers a rich and functional email experience on the web (and desktop or mobile access using IMAP, POP and Exchange ActiveSync). Flexible categories help organize mail, filters clean it up. You can set up POP email accounts for sending and receiving in Outlook.com. Outlook.com could be smarter prioritizing mail. You cannot set up blocks of text or message templates for re-use in Outlook.com. Outlook.com does not include saved searches. Outlook.com is a free email service with practically unlimited online storage. IMAP and POP access is available in most email programs; Exchange ActiveSync offers richer access to mail and folders in Outlook, Windows Live Mail, and many a mobile email program. You can have Outlook.com forward all incoming mail to another email address. Support for rich text editing, drag-and-drop, and keyboard shortcuts aplenty makes Outlook.com on the web an experience resembling that with a desktop email program. Integrating with OneDrive, Outlook.com lets you send files up to 300 MB in size right from the email you compose. In addition to filing messages in folders and flagging them, you can apply free-form categories for organization. "Quick views" offer fast access to certain emails including those containing images or documents, flagged mail and shipment updates; "Quick views" are available for categories as well. A simple search field finds relevant emails fast in Outlook.com while various search parameters (including sender, recipient, subject, folder, and date) let you narrow results more precisely. Outlook.com includes a spam filter whose actions you can correct (and improve for the future) easily. Virus and phishing emails are detected as well. Other filters file, delete, flag, and forward mail; special rules can help you maintain a cleaner inbox by acting on messages by age, for example, or number (say, of newsletter issues). You can set up alternate email addresses for sending (including up to 15 aliases for your Outlook.com address). Outlook.com collects mail from your other POP email accounts if you wish. Integration with SkyDrive allows you to send files easily up to 25 MB each and 10 GB per message in total. Outlook.com can answer emails on your behalf using out-of-office auto-replies. If a page on the web can show text and images and even let you write and submit input, it also can display emails and lists of messages and let you submit text for sending as an email. This is how Hotmail got going in 1996. If computers can manage email and contacts and schedules and notes and to-do lists, one program can handle all these tasks in place, too. This is how Outlook got going in 1997. Together, Hotmail and Outlook became Outlook.com, then, which should handle email and contacts and tasks and calendars and more in one place on the web — and on the go with phones and tablets. Outlook.com is not really Outlook with all its power and intricacies in a browser. It is a free web-based email service with much power on its own, though, and some intricacies, of course. An email service should be universally accessible, fast, easy to use and helpful. On the first of these counts, Outlook.com fares reasonably well. Its web interface works well in most browsers on desktop computers as well as smaller and larger screens with touch interfaces; IMAP and POP access allow just about any email programs to fetch incoming messages or access messages and folders seamlessly. ActiveSync brings potentially even richer access (including synchronizing folders and push notifications) to Outlook, Windows Live Mail, and a few mobile email programs. If all protocols seem less than fitting, you can always set up Outlook.com to forward incoming mail to another email address. In a web browser, Outlook.com sports an interface that resembles a dedicated email program where it can. Browsing folders and opening messages works swiftly, and the Outlook.com screen is filled with information and buttons that put many an action within easy reach — in rows of toolbars and, very conveniently, in customizable buttons that appear over emails in the message list when needed. Keyboard shortcuts are available for most actions as well and allow for even more efficient Outlook.com operation. Inside emails and replies, you can use the keys to type, of course, and you can use a formatting toolbar to render the text richer. Outlook.com also displays received emails using full formatting while keeping your computer reasonably secure and your privacy sensibly intact by not showing remote images automatically. To help type emails faster, it would be sweet for Outlook.com to offer email templates — may be automatically collected from past outgoing messages — or text snippets (or more than one signature). Emails, of course, rarely come and go alone. One key to handling it all is an email service that helps organize and find. 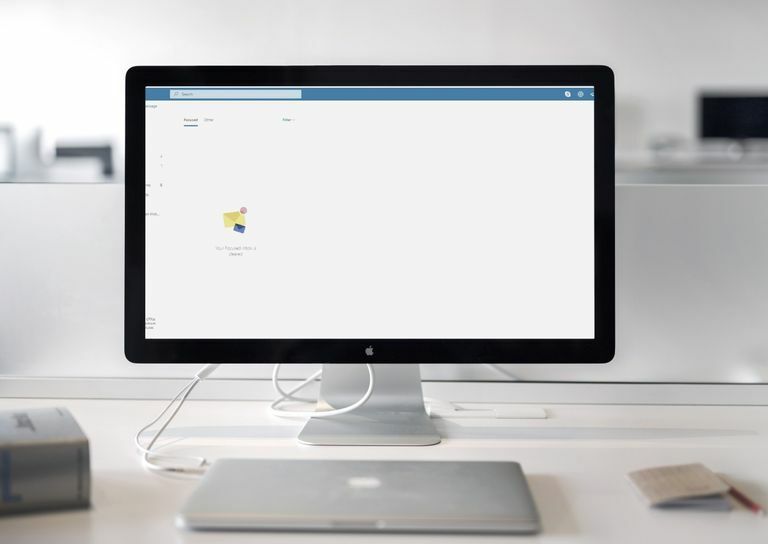 For the latter, Outlook.com offers a simple search field that yields results easily as well as a more advanced search that lets you find messages by date, folder, and subject, for example. Additional search operators would be nice, of course, as would be something like a regular expression search. What if you need to refer to a — changing — group of messages found by search more than once? In Outlook.com, alas, you cannot set up a search folder or save the criteria. Outlook.com does come with smart folders, though, of its own: they automatically collect emails that contain certain types of attachments (such as Office documents), for example, include images, are flagged, or to which you have attached one or the other category. Outlook.com comes with more than one way to organize mail: you can file a message to one folder, you add a red flag to make it stand out, and you can tack any number of categories onto it. Outlook.com lets you add your own categories, of course, but it also comes with a few already set up — and applied automatically to incoming messages. Where Outlook.com's assessment differs from yours, you can correct its decision, of course. Applying categories is not the only thing Outlook.com does automatically. You can also set up filters that file, delete, categorize, flag or forward messages that match their criteria. Spam is filtered automatically, of course, to its own folder; the results are reasonably effective — leaving not too much junk behind — and effectively reasonable — not catching good mail. Outlook.com also screens for phishing attempts in similar a manner, and you can report both if they are missed. While you can access Outlook.com in your email program, you can also make Outlook.com your email program: it can fetch mail from POP email accounts, and you can send replies and new messages from your alternate addresses as well. Unfortunately, Outlook.com does not also function as a full IMAP program (with seamless access to online folders), and Outlook.com cannot use the alternative accounts' SMTP servers for sending (to avoid delivery problems). Whichever address you use, composing emails and replies at Outlook.com is a clean affair and powerful enough. You can type just plain text or add formatting using a rich-text toolbar; Outlook.com also offers a third mode, though, that lets you edit the message body's HTML source directly. In addition to attachments sent with the emails themselves (conveniently uploaded in the background while you continue editing the message), Outlook.com integrates with LiveDrive for sending larger files — up to 300 MB and requiring Microsoft SilverLight). LiveDrive also nets you in-browser viewing for some received attachment's document format (including Word and Excel).